In a few weeks time, from 13th to 15th November, the international wine and spirits industry will meet in Shanghai, China. 500 exhibitors from all around the world are expected to come to the première event of ProWine China. The dedicated exhibition to wine and spirits will give importers, distributors, retailers, F&B Managers and sommeliers from China and abroad the chance to communicate and negotiate face to face with wineries from 26 different countries. Visitors can surely look forward to making exciting new discoveries. ProWine China 2013 will feature exhibitors from the following countries: Argentina, Australia, Austria, Bulgaria, Canada, Chile, China, Croatia, France, Georgia, Germany, Greece, Hungary, Italy, Mexico, Moldova, Netherlands, Poland, Portugal, Russia, South Africa, Spain, Switzerland, UK, Uruguay and the USA. There will be 16 national pavilions and 4 regional pavilions. With over two and a half months to go until the exhibition commences, all the space has been sold out. The originally planned exhibition area was 4000m², however due to a constant increase in number of exhibitors the area has been expanded to 5000m². Featuring 80 exhibitors, the largest national pavilion belongs to France, followed by Argentina with 70 exhibitors and Spain with 56 exhibitors. Portugal and Italy rank fourth and fifth respectively. 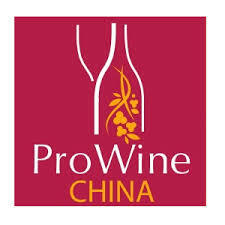 36 Chinese companies will be represented at ProWine China 2013. World’s leading wine brands such as Les Grands Chais de France, CASTEL, Félix Solís Avantis, Jackson Family Wines, Lenz Moser and Henkell & Co. Sektkellerei will use ProWine China as the platform to further extend their business in China. There are many discoveries to be made by visitors who are able to meet exhibitors such as Russian Traditions and Sektkellerei J. Oppmann AG, which will be presenting their products to the Chinese market for the very first time. ProWine China will also be the debut trade show in Mainland China for American groups from Washington and Oregon, as well as the Swiss Wine Promotion, who are bringing along 6 wineries. In addition, the Wine Institute of California will return to the Mainland with a substantial amount of exhibition space. Around 50 exhibitors at ProWine China will present spirit specialties from countries including but not limited to France, Italy, Mexico, Russia and South Africa. More than 100 supporting events will underline ProWine China’s variety. The spectrum of offered opportunities will be large. As well as thematic wine tasting sessions, featuring specific grape varieties and regions, there will be numerous events on combining wine with food as well as talks on trade routes, market trends and wine education. Many national and regional groups such as France, Spain and California will hold seminars and tasting sessions directly at their stands. UBIFRANCE, representing French companies and the largest national group, will provide importers, distributors, retailers, F&B Managers and sommeliers with the opportunity to taste French wines and explore new business opportunities as part of 15 Master Classes. Furthermore there are two spacious seminar rooms, named ProWine China Forum and ProWine Master Classes. Exhibitors and visitors will be granted a great chance to exchange wine and spirits knowledge and present their products. National groups from Austria, Georgia, Germany and Portugal will inspire trade professionals with latest information about respective cultivation regions. Together with Ms. Debra Meiburg MW, the German Wine Institute will display their expertise and experience in wine and Chinese food pairing. China Sommeliers Wines and Spirits Challenge (CSWSC) will take place on the 10thand 11th of November 2013. It is the only Chinese sommelier focused blind tasting wine event of its kind. The competition brings together China’s leading sommeliers, both local and international, and a panel of renowned Master Sommeliers including world and regional champions. Results are announced on the 13th November, the first day of ProWine China. Visitors have the unique opportunity to taste and explore award winning wines during the three days exhibition at the ProWine China Distributor’s Club. A gala dinner on the 13th of November at the 5* Westin Hotel Bund Centre, Puxi, Shanghai is the exclusive opportunity for visitors and exhibitors to network with sommeliers, wine press and wine celebrities that are attending ProWine China. Furthermore, the Shanghai Wine Society will organize a series of national wine dinners on the evenings of the 12th, 14th and 15th of November 2013. Pre-registration and further information on ProWine China 2013 is available at www.prowinechina.com. Pre-register online today and receive your visitor badge in advance of the show for addresses in mainland China. International visitors will be sent a special pre-registration number which they can use to collect their visitor badge on site at visitor lobby Entrance No 2 & 3 of the Shanghai New International Expo Centre. 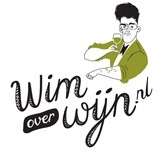 Dit bericht is geplaatst in Internationaal, Nieuws met de tags ProWine China. Bookmark de permalink.